Tik Tok is a social media app popular among young people. Its growth worldwide has been nothing short of meteoric. 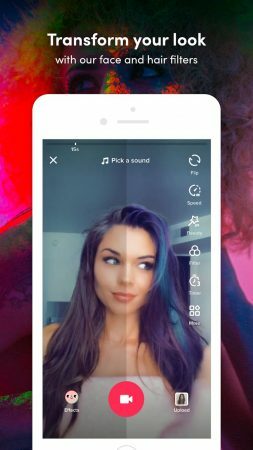 After its launch in 2016 by entrepreneurs in China, the Tik Tok app quickly became one of the most downloaded apps from the iOS store. In fact, the app has now been downloaded more than a billion times and is available in more than 75 languages. Needless to say, Tik Tok is giving popular social media apps Instagram and Snapchat a run for their money. Like these social media sites, the Tik Tok app targets young people. In fact, more than 40% of the users are under the age of 24. Unfortunately, with success comes scrutiny, and Tik Tok is now under increasing scrutiny – not just in the United States but worldwide. Despite its rising popularity among young people, many middle-aged and older adults still have never heard of the Tik Tok app. The app is set up so that users can post self-made, short videos from three to 15 seconds in length. Users can also upload looping videos as long as 60 seconds in duration and add fun effects to increase the entertainment value. 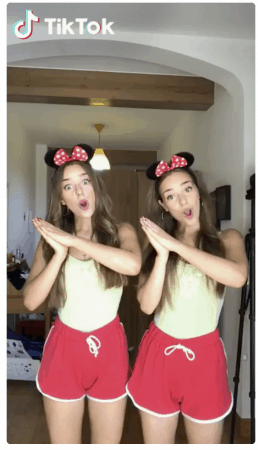 Typical videos show participants singing, dancing, lip-syncing to popular songs, and performing a variety of stunts that visually engage younger users. Tik Tok’s rapid expansion was fueled by its merge with Musical.ly, a social media app that encourages users to browse, share, and comment on short music videos. Despite its rapid growth, things haven’t been smooth sailing for the popular social media app. After the merge with Musical.ly in October of 2018, the terms of service and privacy policies changed, and the changes prompted concerns among parents and regulators alike. For one, the new terms of service contain inconsistencies in language and application. For example, the Tik Tok app states that no one under the age of 13 can use the platform due to safety concerns, like stalking. Yet, they display the profiles of people under that age in ads and on pages in the app. It seems the profiles of all users, including under-age users, were automatically transferred to Tik Tok from Musical.ly when the two platforms merged. With the merger, the numbers of accounts swelled to more than 150 million users. So, what are some of the reasons that Tik Tok – an app creating a stir in the online community – is under scrutiny? Until recently there wasn’t an age verification system connected to the Tik Tok app. The lack of a system for verifying age meant people of any age could quickly and easily download the app. The only recourse parents had for restricting access was to use parental control settings. However, Tik Tok was recently forced to make changes after the owners were fined by the U.S. Federal Trade Commission (FTC) for 5.7 million dollars – the largest FTC fine in history that has to do with children’s online privacy. The fine was instituted after the company failed to restrict access to the app by kids under the age of 13 and made little effort to protect the personal information of users. Before the fine, the company ignored parental requests to remove profiles of underage users and did little to ensure that kids under the age of 13 were denied access to the app. Tik Tok responded to the fine by adding new restrictions for U.S. users and implemented an age verification system. However, these changes only apply to citizens of the United States. Despite publicly expressing concerns about child safety, efforts to execute change have been slow, and some people question whether the changes are uniformly enforced by the company. As with most social media sites and apps, users have privacy concerns – and for good reason. Prior to being fined by the U.S. Federal Trade Commission, Tik Tok did little to protect the privacy information of its users, including information about minors. In fact, they routinely collected personal information on kids under the age of 13, including geographic data and email addresses. The Tik Tok app was featured on the Today Show this week – check out what Reporter Savannah Sellers has to say about the privacy concerns. Another concern is the content young users are exposed to. It’s not all singing, dancing, and silly antics. In fact, the app was banned in Indonesia last year after displaying pornographic content and content deemed blasphemous or controversial. The ban was short-lived after the company agreed to monitor content more closely in that country. But, there’s little evidence that Tik Tok has cleaned up its act. Tik Tok has also been criticized for turning a blind eye to bullying. The app provides the opportunity for users to do a side-by-side response to the videos posted by other members. Although a seemingly ingenious idea, it’s led to reports of bullying and even physical threats in response to posted videos. For example, reports have been documented of viewers responding to videos with self-made videos that depict violence to themselves or others. In fact, there are reports of teens committing suicide after experiencing mocking and bullying on the social media app. When members try to report such flagrant misuse of the app, they find it difficult to do. On the plus side, users can turn off the option that lets other users post a side-by-side video to their own, but this limits social interaction and engagement. You can also choose to block people, as well as restrict who sees your content and who can comment. You can even make your posts private. However, this reduces discoverability. The Tik Tok app also recently launched a new feature that allows users to filter out certain words from comments so they aren’t visible. Despite its lighthearted, fun exterior, Tik Tok should be on the radar of all parents. On the surface, the app is making some changes to reduce bullying and the display of offensive content, but are they going far enough? More concerning is whether they’re enforcing the rules. With such a rapid growth rate, things are still in flux, and the dust hasn’t settled. Most likely, there will be other changes and, hopefully, positive ones. Until then, keep abreast of what your kids have access to – and that includes this popular, social media app. If you’re in the market for new kid-friendly apps, check out these Educational Apps that are safe, fun, and engaging.